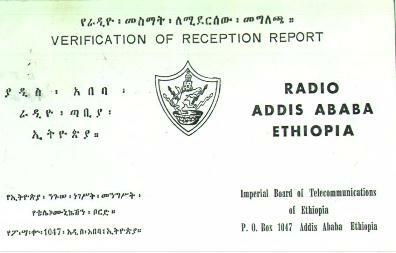 QSL card from Radio Addis Ababa for report on 1 July 1955 on 15.344 mHz. Power was 3000 watts. 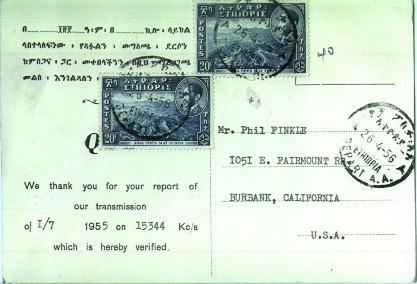 This QSL was from the Radio Addis Ababa on 15.344 mHz. This was a rather rare "catch" from the west coast of the U.S.A.